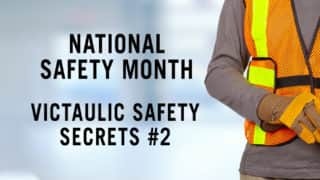 June is National Safety Awareness Month, but at Victaulic, attention to workplace safety is a year-round responsibility. In our production activities, the mantra is “safety first in everything we do”. As required by our Safety/FEM programs, all employees work diligently to eliminate hazardous and unsafe conditions, and mitigate any risk of injury. By engaging and empowering our workforce, we further drive our safety culture toward world-class levels of excellence. When all levels of the organization work together and care enough to watch out for each other, the end result is a culture of safety that does not tolerate a single workplace injury. Why is Workplace Safety Important? The numbers tell the story. According to the Bureau of Labor Statistics, injuries and accidents at the workplace cost American businesses more than $156 billion annually. Nearly 5,200 employees die from workplace injuries in the U.S. alone. Those metrics only apply to the U.S. – as a global company, we can imagine the cost and number of injuries on a global scale. Workplace injuries also impact employee morale and productivity and can have dramatic effects on a company’s financial bottom line. How Do We Continue to Improve Workplace Safety? At Victaulic, we go above and beyond compliance and our existing safety training program by subscribing to a Behavior-Based Safety (BBS) methodology. BBS a non-traditional safety strategy that exists separately from formal policies and is based on the theory that safety is a series of choices made by each and every one of us – choices that are behavioral in nature and under our control. Identification, analysis, and correction of unsafe choices and risky behavior by way of observation is the core facet of BBS. This methodology empowers employees to take safety into their own hands by reinforcing safe behavior and identifying those behaviors that increase the risk of injury. Click here to learn more about the benefits and challenges associated with Behavior-Based Safety Programs. How effective are Victaulic’s safety strategies? Between employee surveying and collated metrics regarding recordable safety incidents, it appears as though our efforts are paying off. 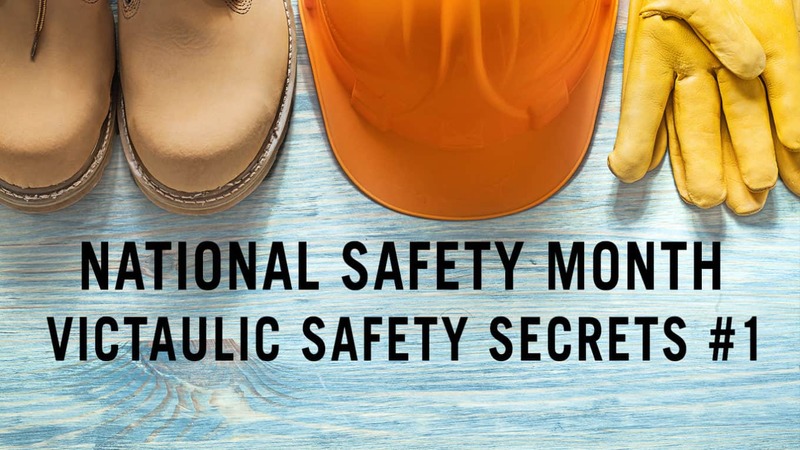 Annual employee perception surveys indicate that more than 86 percent of the Victaulic workforce believe that our upper-level management is committed to employee safety, while 99.3 percent of employees indicate that workplace safety is a top priority at Victaulic. All of our surveyed employees believe that our leadership consistently demonstrates their commitment to workplace safety. The recordable injury rate for the iron foundry industry is 6.1. Victaulic has an injury rate of 2.4, a 60 percent improvement. The recordable injury rate for the manufacturing industry is 3.3. Victaulic has an injury rate of 1.28, a 61 percent improvement. These and other safety metrics have given Victaulic a good idea of where we stand – and provide concrete areas for improvement. 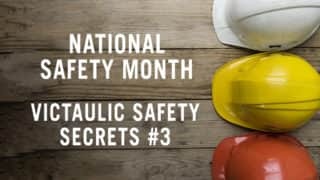 As we continue celebrating National Safety Awareness Month, Victaulic will be sharing our safety strategies. Make sure to check-in throughout the month of June to learn more about our journey to world-class safety excellence. Secretos de Seguridad Victaulic 3: ¿Cómo se relacionan la eliminación de desechos y la seguridad? How has Victaulic accomplished Voluntary Protection Program (VPP) Star success in our Forks manufacturing plant?